Animals, like people, respond to physiotherapy. Chartered Physiotherapists are specifically trained and have a large variety of treatment options to restore normal function and maximise performance or rehabilitation. Physiotherapy can help prevent injury, significantly speed up recovery from injury, build strength and stamina and improve quality of life. The initial assessment involves a full examination prior to treatment which is discussed and agreed with the owner in advance. 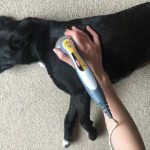 All treatments are approved in advance by referral or consent from your veterinary surgeon and they will be kept informed of all treatments and the progress of your animal. All treatments and exercises are tailored specially to meet the needs of your animal. The number of treatments necessary depends entirely on individual diagnoses, responses to treatment and other factors such as age, lifestyle and co-morbidities. Hydrotherapy is an excellent treatment for a wide range of conditions, can significantly speed up recovery from injury or surgery and reduce pain or discomfort. 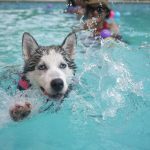 Whether it be swimming in the heated hydrotherapy pool or work in the underwater treadmill, full facilities are available and will be used to maximise your animals rehabilitation. Physiotherapy can be an important part of recovery from direct injury but is also vital in maintaining the optimum health, wellbeing and performance of your horse. 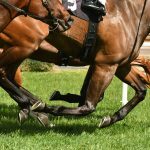 It has long been recognised in human athletics that regular physiotherapy is of benefit even in apparently normal individuals, this is equally, if not more so, important in horses. Horses can’t report a slight twinge here or some stiffness there. Routine physiotherapeutic assessments will identify such subtle abnormalities and allow ongoing support, re-educating correct posture and ensuring that more significant secondary problems do not arise resulting in poor performance. These assessments can be performed at fixed intervals or following on from the particularly demanding competition. I recognise the importance of ground schooling and gymnastic exercises to ensure the correct use of muscles and gate patterning. Traditionally physiotherapy has been used in the rehabilitation of veterinary diagnosed injury and lameness however it is important to note that schooling problems, behavioural problems or reduced performance can all be caused by pain, muscle weakness or joint stiffness. Routine preventative physiotherapy assessments will maintain performance, allow early detection of problems and therefore may prevent injuries. A full musculoskeletal and gait analysis assessment will be carried out in order to identify your horse’s specific problems and develop an appropriate treatment programme. Treatments may include joint mobilisations, trigger point release, soft tissue massage, specific exercises, electrotherapy, core stability exercises, specific stretches and specialist advice regarding groundwork and ridden exercise.